Celebrate Florida’s rich history at Fort Taylor Living History Weekend on the third Saturday and Sunday of each month at Historic Fort Taylor, America’s Southernmost Civil War Fortress in Key West, Florida. Join our re-enactors as they set up tents, clean their weapons and fire up the blacksmith shop. Climb the circular stairways and experience the harbor view just as the soldiers did in 1861. Walk down our cannon row and touch the actual cannons used to protect this Union stronghold. Tours will be available and public interaction is strongly recommended. Re-enactor participation varies by weekend and weather conditions. 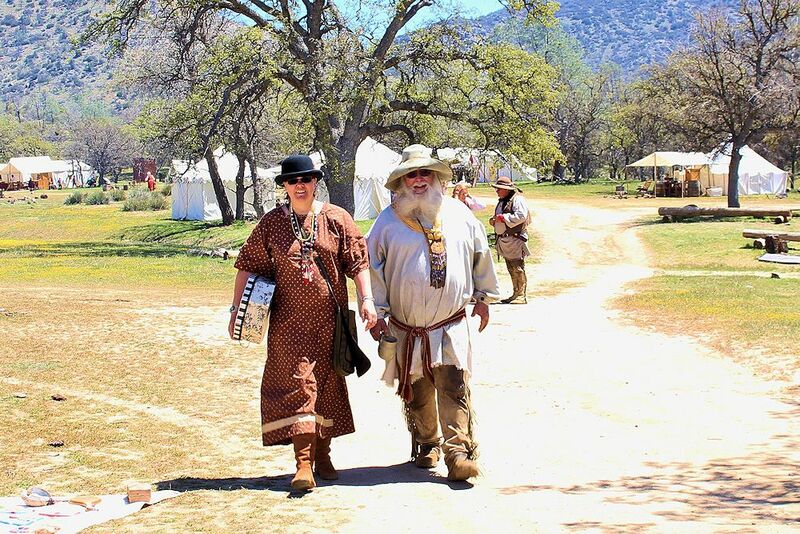 On the third weekend (Saturday and Sunday) of each of month, Fort Taylor Living History Weekend offers you the opportunity to experience life in the fort as it was during the Civil War. The park is open from 8:00 a.m. until sundown, 365 days a year. The fort closes at 5:00 p.m.
$6.00* per vehicle. Limit 2-8 people per vehicle. Spanish explorers first surveyed the island of Key West in 1513. After the Florida territory was transferred to the U.S., the Navy established a small depot here in 1822 to rid the area of pirates. Fishing, salvaging wrecked ships and cigar manufacturing became the driving economic forces behind the island’s growth making Key West the richest city in Florida in the 1890s. The U.S. Army began construction of Fort Taylor, named for President Zachary Taylor, in 1845. With secession and the beginning of war in 1861, Fort Taylor remained under federal control — one of only three fortresses in Florida to do so — and served as the headquarters for the Federal Navy’s East Gulf Coast Blockading Squadron staying on ‘active duty’ status through 1947. Today, the fort is a National Historic Landmark containing the largest cache of Civil War-era seacoast cannons in the U.S.
Union troops took control of Fort Zachary Taylor early in the Civil War and maintained it through the duration of the war. They made use of the fort’s impressive artillery, including 10-inch Rodman and Columbiad cannons to detain blockade-running ships seeking to supply the Confederacy. In 1968, a large supply of Civil War-era guns and ammunition were discovered in the Fort’s buried arsenal. In fact, Fort Zachary Taylor held the largest collection of Civil War-era cannons in the United States. Soon after the park opened to the public, a contractor began the process of digging a moat around the fortress. There were two reasons for the project. One was to prevent easy entry into the structure. The other was to give the illusion of the fort in its early days, surrounded by water. The end result was an attractive division between the fort and the beach and sea beyond. Mark your calendar today so you don’t miss the next Fort Taylor Living History Weekend on the third Saturday and Sunday of each month at Historic Fort Taylor in Key West, Florida.